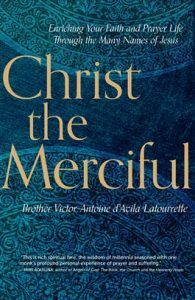 Brother Victor-Antoine d’Avila-Latourrette explores the absolute centrality of Christ in the prayer life of any Christian. The end result is a comprehensive confession of his faith and testimony to the many “names of Christ” that cross through historical, monastic, and mystical traditions. Keeping true to the hope for a unified Church, Christ the Merciful incorporates both Western and Eastern Orthodox sources. Chapters situating Christ in context of his life in Palestine, his role as a son, friend, and family member, and his place in the living history of the church all help to create a full, well-rounded portrait of his divine and human lives. By viewing Christ through these various facets, the book helps readers enrich their relationship to the mystery of God, adding contour to their spiritual journey. Brother Victor-Antoine makes difficult concepts clear in a straightforward manner, informed by years of Benedictine monastic practice. 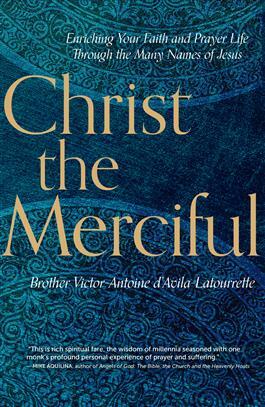 Richly grounded in Scripture, in the Fathers of the Church, in both Eastern and Western traditions and, above all, in the fruit of his own prayer, Brother d’Avila-Latourrette’s meditations on the many names of Jesus offers us the opportunity to meet Christ anew every day. Just like Andrew and John, or Philip, Zacchaeus, Bartimeus or the centurion, Jesus’ entry point into each of our lives is unique. He has called each of us by name, and with the help from Brother Victor-Antoine, we are reminded of how much we long to hear Jesus and need to hear him speaking to us in all aspects of our life and faith. — Father Tim S. Hickey, contributor to Magnificat, priest of the Archdiocese of Hartford, former editor of Columbia magazine (Knights of Columbus).